Morrissey has postponed his first Canadian tour in almost two decades due to a “medical emergency.” He was slated to perform at the Orpheum in Vancouver tonight and tomorrow, but the Vancouver Civic Theatres announced that the shows will be moved to 10/14 and 10/15. His Edmonton show, originally planned for 4/18 at the Northern Alberta Jubilee Auditorium, will now take place on 10/10. “Spirits are high,” the Vancouver Civic Theatres’ statement reads. “The artist is on the path to a swift recovery.” On 4/26, he will perform in Toronto and all remaining tour dates will continue as planned. Morrissey will begin his Broadway residency in May. His new covers album, California Son, comes out 5/24. In September, he will embark on a US fall tour with Interpol. Heads up #Morrissey fans – Due to a medical emergency, Thursday night's show in #yeg has been RESCHEDULED for Thursday, October 10. 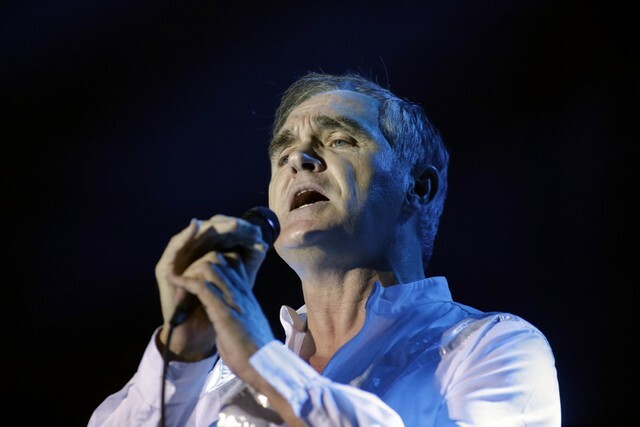 Due to a medical emergency stemming from an accident incurred while traveling in Europe, Morrissey will be forced to postpone his performances in Vancouver to October 14th and 15th, 2019.